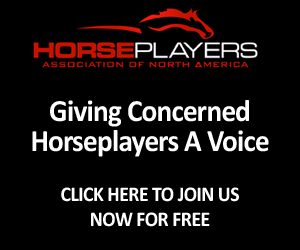 (September 26, 2010, Charlottesville, VA) The Horseplayers Association of North America (HANA) would like to endorse and offer its full support for Ontario harness racing’s “Racing Development and Sustainability Plan”. 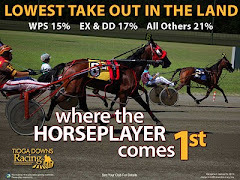 When slots were initially passed in many jurisdictions, racing was given a warning that handle on their core product would fall due to the presence of an attractive lower takeout competing product on premises. 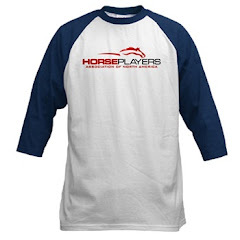 As more and more racino’s emerged (using essentially the exact same business model), horseplayers and industry watchers have urged racing to give a portion of slot money back to the customer, not only to directly address their needs and wants, but more importantly to keep horse racing betting on sound economic footing. Until now this advice has been largely ignored. In just eight short years handle on Canadian harness racing has fallen from $719M to $431M. Conversely, since slots were introduced in Ontario in 1999, almost $2B has been distributed in purses. “Our members have been calling for tracks and horse owners to do more on the consumer demand side using slot/VLT revenue for some time now. We are extremely encouraged and thankful that Ontario horse owners are stepping up to the plate by looking to cultivate their customer base - both the existing ones and the ones who have left - with some of their slot money” said HANA President Jeff Platt. Barry Meadow is a member of the HANA Advisory Board and is a long time bettor and author of Success At The Harness Races and Professional Harness Betting. He echoes Jeff's thoughts. "It's good to see an initiative that takes the most important part of any business--the customer--into account. 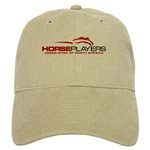 Anything that makes a bettor want to bet more, or more often, will help the industry." 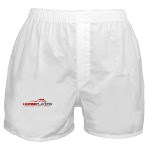 If passed, the new Ontario Plan is slated to go into effect on January 1st, 2011. HANA will be keeping all of our members updated on its progress. 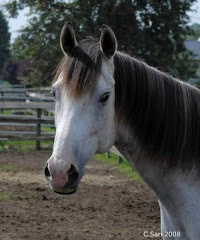 If you would like to comment on their plan or learn more, please visit www.standardbredcanada.ca. Note: A special thanks to members (you know who you are) who were focused on slot programs being used for a better means for our sport.